Stepping into mud has never tasted this good. 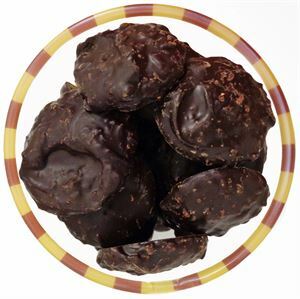 These “puddles” of dark chocolate and toasted coconut satisfy any dark chocolate lover. We think it’s the TOASTED coconut that sets them apart. 1/25/2018 – Hi! When will these be back in stock? We love the coconut! Also, when will some of the other sold out items be back . . . 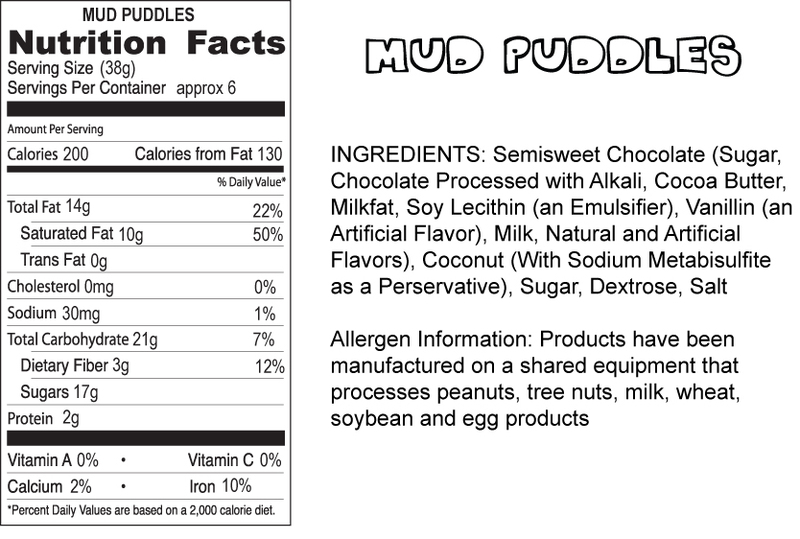 Response From Droolin' Moose: Unfortunately we don't have a firm date that we can give you on when the Mud Puddles will be back in stock. We really hope to have them in stock by February 1st. I have you on my list to reach out to once they are back on the shelves.